He reportedly told the committee he "was not prepared" to answer several of its questions. 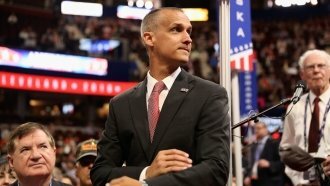 President Donald Trump's former campaign manager Corey Lewandowski was reportedly tight-lipped when questioned by the House intelligence committee Wednesday. Republican Rep. Peter King said Lewandowski told the committee he "was not prepared" to answer questions about anything that occurred after he left the campaign. Democratic Rep. Adam Schiff said placing "whole categories of questions ... off-limits" was "completely unacceptable." Lewandowski's testimony is part of the committee's probe into Russian interference in the 2016 election. Former White House chief strategist Steve Bannon testified for the committee Tuesday.